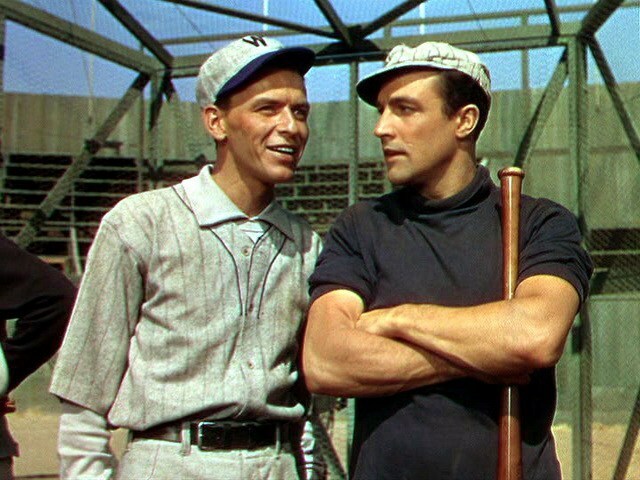 “Take Me Out to the Ball Game” feels like a strange mix of “On the Town” and “An American In Paris” – it has the wit, style and dance moves of “On the Town” but Gene Kelly is back to being the creepiest guy in the world that can’t stay away from women. As great as his dance moves are here, Kelly is so unlikable in how he treats other people, especially the female owner (Esther Williams) of the baseball team he plays for. He makes Pepe Le Pew look subtle and sophisticated by comparison. Beyond that though, the musical numbers are wonderfully choreographed and the songs are catchy and whimsical, so I can’t say this is a bad movie. It’s just that, of all the musicals Gene Kelly did, especially with films like “Singin’ in the Rain” and “On the Town,” this isn’t his finest work, but is certainly still enjoyable.